Applied in the family setting, Positive Discipline teaches important social and life skills, in a manner that is respectful to both the adults and children - raising young people to be responsible, respectful and resourceful members of their community. Children who grow up in Positive Discipline homes have a sense of connection to their community (home, school), feel their input is regarded as meaningful and are less likely to engage in "mis" behavior. To be successful members of the community children need to be taught the necessary social skills. Positive Discipline is based on the understanding that discipline must be taught and that discipline teaches. Family Meetings are a key component of the Positive Discipline home. Likewise, applied in the school setting, Positive Discipline educates teachers about the importance of belonging and significance, respect for all people, encouragement, strategies for reducing misbehavior, and the development of problem solving and communication skills for students and staff. One key component is regularly scheduled Class Meetings which provide a problem solving forum and reduce the number of interruptions to teaching time. Positive Discipline materials provide teachers with specific lessons to use with children from preschool to high school age to teach healthy self-discipline. Teachers report they enjoy teaching more because Positive Discipline promotes better discipline in their classrooms and more cooperation among students, thereby providing more teaching time. Child Care Centers, After School Programs and other community agencies also benefit from the use of the same Positive Discipline approaches. A wide range of books and manuals addressing child development, Positive Discipline principles and special family situations is available. Typical book titles include Positive Discipline for Preschoolers, Positive Discipline for Teenagers, Positive Discipline in the Classroom, and Positive Discipline: A Teacher’s A to Z Guide. Trainings or workshops are offered by Certified Positive Discipline Associates, primarily in a two-day, experiential, format in various locations around the world. Rigorous training, continuous networking, and an annual Think Tank assures a high level of competency among associates. Training is also provided upon request to an entire school or agency staff. A fourteen hour program format is available specifically for educating parents and/or teachers. Provisions are in place to offer scholarships and a reduced fee schedule for individuals of low to moderate income who might find the fee prohibitive for workshops and trainings. The Corporation is organized exclusively for charitable, scientific, and educational purposes within the meaning of Section 501(c)(3) of the Internal Revenue Code. Without limitation of the foregoing, the Corporation has the following specific purposes. Consistent, high quality, up-to-date training for Positive Discipline facilitators who pursue certification toward becoming a Certified Positive Discipline Associate or Certified Positive Discipline Lead Trainer. An annual training Think Tank where Certified Positive Discipline Lead Trainers and Associates can share ideas and get support for their work. Consistent, high quality, up-to-date training for such groups as counselors/therapists, parent educators/parent educator trainers, childcare providers, teachers, school administrators and staff that promotes developmentally appropriate self-discipline, respectful relationships, cooperation and positive engagement in communities, schools, families, child care centers and child care homes. Opportunities to provide training to others who are interested in building Adlerian communities with a Positive Discipline foundation. Support, encouragement and skills training for parents to promote mutually respectful relationships within families, between parents, children, and adolescents. On-going research documenting the outcomes of Positive Discipline training for continuous improvement in the training tools used for teaching and sharing Positive Discipline. Positive Discipline is a program based on the work of Alfred Adler and Rudolf Dreikurs. 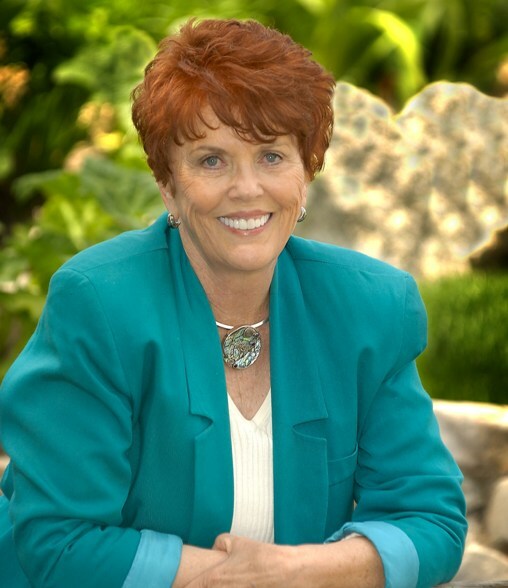 The principles can be found in the best selling Positive Discipline books by Dr. Jane Nelsen and her many co-authors. Lynn Lott and Jane Nelsen developed the training programs Teaching Parenting the Positive Discipline Way and Positive Discipline in the Classroom. "In 1969 I felt like a failure as a mother. I would be authoritarian until I couldn't stand myself. Then I would be permissive until I couldn't stand my kids. I was a senior in college majoring in Child Development and felt discouraged as I became aware of ideals for children and parents. Unfortunately, the books that explained these ideals did not give much help on how to accomplish them. In my last semester of college, I enrolled in a class where the instructor, Dr. Hugh Allred, explained that we would not be learning a bunch of theories but only one theory (Adlerian Psychology), which included practical methods to help children learn self-discipline, responsibility, cooperation, and problem-solving skills. I was hopeful about this possibility, but even more gratified to find that the Dreikurs/Adler methods were effective in spite of my yes, but attitude. I became so excited about my own success that I wanted to share these methods with others. 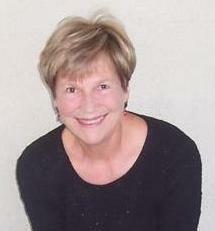 I started as a parent study group leader with friends in my neighborhood and then with parents of educationally and emotionally handicapped children (my MA thesis project) and later became the Director of Project ACCEPT (Adlerian Counseling Concepts for Encouraging Parents and Teachers) in the Elk Grove School District. This was a federally funded, Title IV-C project. Our purpose was to show that children would improve their behavior when parents and teachers attended study groups to learn more effective ways of working with children in homes and classrooms. The results showing improved behavior were statistically significant at the .001 level, so we were awarded funding for three more years to teach other interested school districts how to adopt this program. The book we were using in this project went out of print, so in 1981 I sat down and quickly wrote another one based on what I had been teaching and learning from other parents and teachers. The book was written in two months and self-published in a format with so many mistakes it would make you laugh today. Thus, Positive Discipline was born. Who would know that what people now think of as Positive Discipline would evolve from such an innocent decision?" In 1990, Lynn Lott and Jane Nelsen joined forces to revise and expand the Teaching Parenting Manual Lynn and her students put together in 1987. They made the manual more user-friendly, revised the problem solving steps, and added a lot of new activities and promotional ideas. Over the next eight years, they updated the manual with many new materials. In 2007, with the help of a group of Certified Positive Discipline Associates, Lynn and Jane created the sixth edition of Teaching Parenting. They also authored several books together, Positive Discipline for Teenagers, Positive Discipline A-Z, and Positive Discipline in the Classroom. When it came to creating a national organization of parent educators, Jane and Lynn met their biggest challenge. 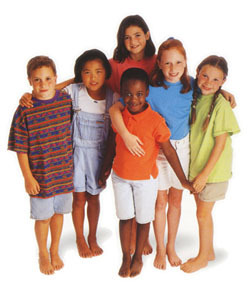 In spite of many struggles and differences as to how to bring this about, in 2004, the Positive Discipline Association was born, and the end result is exactly what Jane and Lynn both wished for: a non-profit organization that can carry on their work without them having to be involved on a day-to-day basis. The work is extremely important, and each of them is grateful for the efforts of others help keep it going. Adlerian ideas changed both of their lives, and with the work of the PDA, others’ lives will change in positive ways. Lynn and Jane are learners, teachers, and creators and are willing to make mistakes along the way. They encourage others to be learners and follow Rudolf Dreikurs’ profound guidance to “have the courage to be imperfect.” Don’t wait for perfection before you teach. Teach as you learn and learn as you teach and you will make a huge difference in the world. Lynn Lott said of her experience: "In 1969 when my first child was six months old, I picked up a book called Children: The Challenge by Rudolf Dreikurs and it changed my life. At that time, there was a group of volunteers leading parenting classes to study the ideas in that book. I took one of these classes, became a volunteer leader, and have been teaching parenting and relationship skills ever since. Though I came to Positive Discipline as a parent, it wasn’t long before I was using the ideas in multiple settings, including my private practice as a therapist. In 1973, I founded an Adlerian organization in northern California. That organization evolved into the Family Education Center where I ran a weekly parent education/family-in-focus program for thirteen years. As parents in the program became more involved and skilled, I created an internship program to teach them how to be parent educators and counselors. The interns learned how to teach experientially, based on what I had learned from John Taylor, so that their parenting groups would be more interesting and effective than the first one I took back in 1969. I created the Parents Helping Parents Problem Solving Steps so that new students would have a map to use when they counseled parents using the open forum model introduced by Adler, Dreikurs, Christensen, Walton, Platt and others. The open forum included working with volunteer parents, teachers, and/or families in front of an audience. Watching this magical method closely, I could see what these master Adlerians did and turned the magic into steps that others could follow. In the summer of 1987, my students and I created the first Teaching Parenting Manual for others to use."